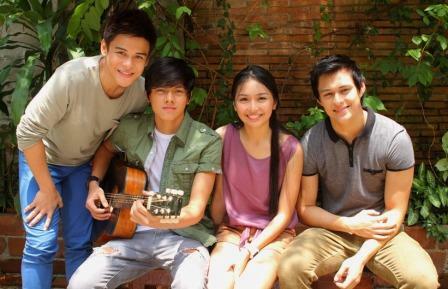 Fire Scene in 'Princess and I' Conquers Twitter, 'Love Songs in Princess and I' Conquers Music Scene! Major characters of ABS-CBN’s no.1 Primetime Bida royal teleserye “Princess and I” recently became nationwide top trending topics on popular microblogging site Twitter because of the heart-pounding fire scene where Kathryn Bernardo’s role, Mikay, fearlessly saved his father Dinoy (Dominic Ochoa) from their burning house. Because of the wicked plan of Ashi Behati (Gretchen Barretto) that almost risked the life of Yangdon’s long lost princess, TV viewers flooded Twitter with various emotional reactions during and after the fire incident. Hashtags #PrincessAndIOnFire, #Mikay, #Gino, and #Jao immediately trended on Twitter Philippines. Most of the netizens talked about the bravery of Mikay and the hospital scene where Gino (Daniel Padilla) and Jao (Enrique Gil) hurriedly checked on the safety of the only girl they both love. Meanwhile, in just two months after it was released, "Love Songs from Princess and I," the official soundtrack of "Princess and I" has been certified gold. Released under Star Records, the ‘royal album’ features the romantic theme songs sung by the lead stars of the show themselves including 'Mula Noon Hanggang Ngayon' by Kathryn, 'Hinahanap-hanap Kita' by Daniel, 'Tunay Na Ligaya' by Enrique, 'Kung Ako Ba Siya' and 'Now We're Together' by Khalil Ramos, and the versions of 'Nag-iisang Bituin' by Christian Bautista and Angeline Quinto. 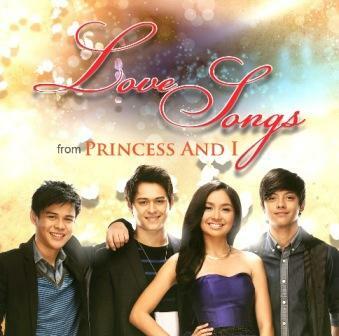 "Love Songs from Princess and I" is still available on record bars nationwide for only P199.